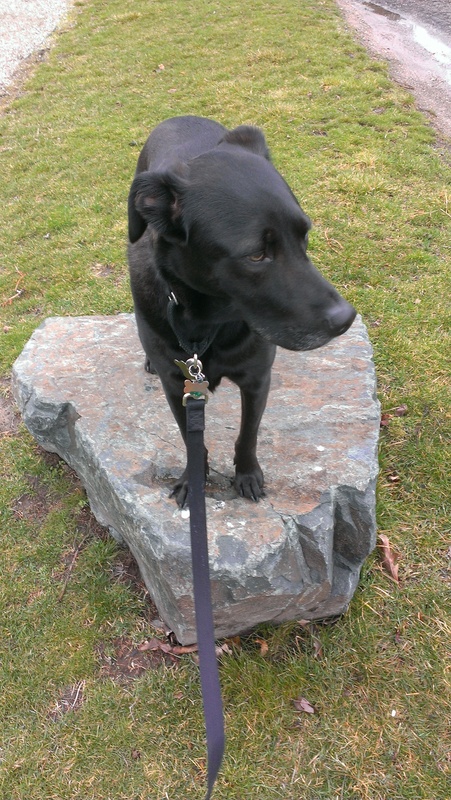 I’ve been told Reggie is a Labrador/Greyhound mix, by veterinary professionals. This is a good, educated guess. His adoption paperwork says “lab mix”. I’ve been wondering lately if this is really true. 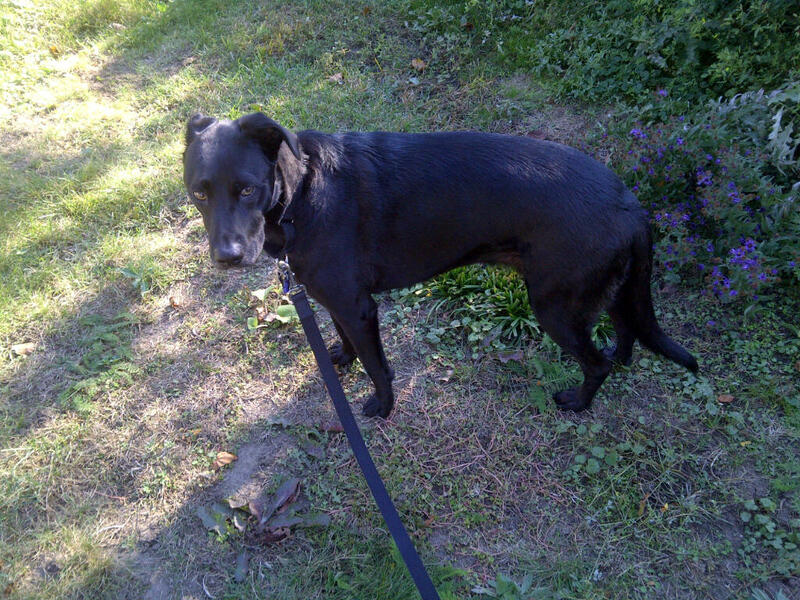 Without a doubt Reggie is not 50/50 Labrador/Greyhound- that much I would bet large sums of money on. And with all of the mis-labeling of bully breeds going on, I wanted to know exactly what Reggie is. So I ordered a Wisdom Panel 2.0 dog breed DNA ancestry kit. It was very simple to do, although Reggie did not enjoy getting his cheek swabbed for 15 seconds- I had to wrestle him a little. In about 3 weeks I will know what Reggie is actually made of! I decided to try and evaluate Reggie’s supposed breed ancestry on the front end. However, I discovered a few things. The power of suggestion is well, powerful. I don’t think Reggie’s primary genetic markers are Labrador or Greyhound. But I’ve gone on these assumptions for so long that when I look at them I can see physical and behavioral characteristics of both breeds in my dog. But if you told me he was part Doberman I could probably find similarities there too. Below is my evaluation (remember I am not a scientist or a veterinary professional), and what I think he is more likely to have genetic breed markers for. 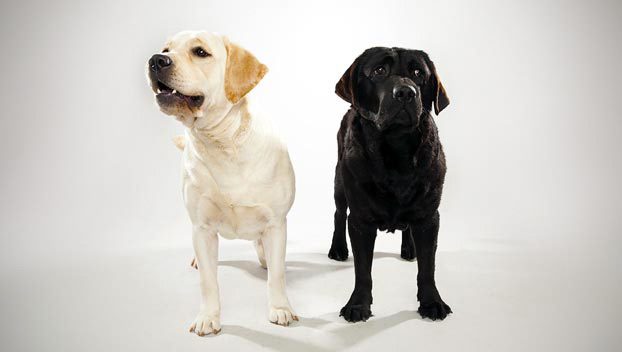 Labradors are square, broad, and sturdy. They have boxy heads and muzzles with strong jaws. They are labeled sporting dogs by the AKC. They have strong legs, good for traveling over land, and its webbed feet make it a powerful swimmer. They are active, playful, need plenty of exercise, good with other dogs, kids, trainable, and frequently ranked as one of America’s favorite dogs. How does Reggie compare? By AKC standards Reggie falls within the low end of the weight class for a male (65 pounds), and he is just about the same height or a touch shorter than most purebred Labs we know. 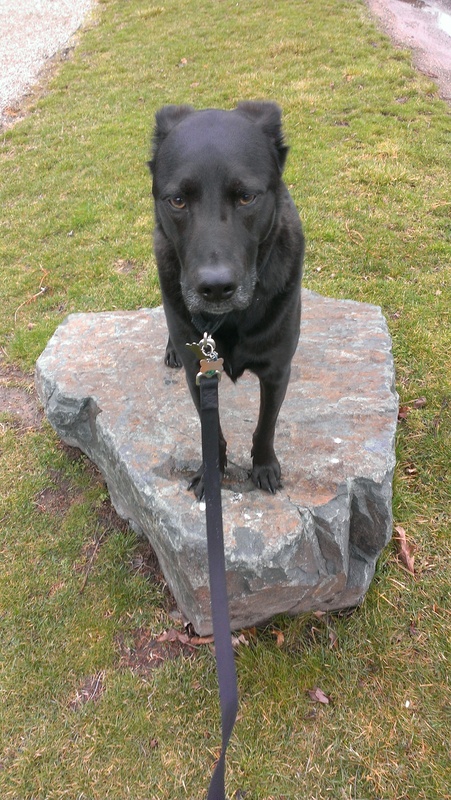 However, in comparison Reggie is much leaner and just physically smaller than a true Lab. He is longer, skinnier, and leaner. His legs are longer and skinnier. His tail is much longer. And his head is the biggest difference. His head is smaller, his muzzle narrower, and his ears smaller and he holds pinned back unless you are holding a treat or a ball. He does have webbed feet and he LOVES the water. I have to hold him back to keep him for hurtling himself off the dock into the lake. Greyhounds are super fast, built for speed. And they are couch potatoes. They are the only dog that has a double suspension gallop where all four legs are off ground at the same time when running (the super speed thing). They have long skinny tails, long skinny necks, and narrow heads and muzzles. 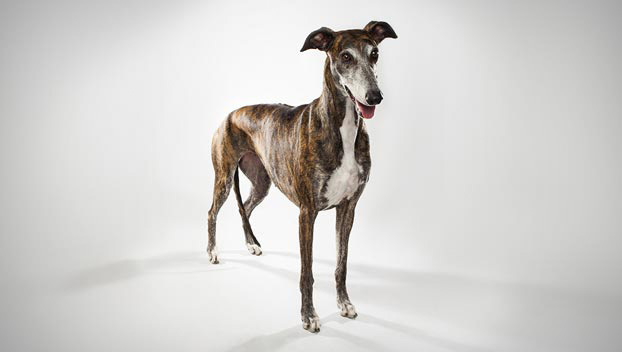 They are classified as hounds by the AKC, and specifically sighthounds due to their ability to see behind their body several degrees due to the placement of their eyes. They tend to be sensitive animals, good with other dogs if they are socialized, and relatively easily trained. How does Reggie compare? By AKC standards he fits right into the weight class for a male although he is some 5 inches shorter, and not as long. He does not have the coarse short coat, but a double coat. He does have the same deep curving chest, and the curving flexible spine. I notice when we walk that he has this serpentine motion to his spine, S-shaped and moving as we go. Reggie LOVES rabbits- one habit he has never been broken of. He has learned the command “ignore” after a severe ACL sprain due to squirrel chasing incident, and birds he could care less about. Rabbits are his kryptonite. I saw him take off after a rabbit last year at top speed (his top speed) and before I could get him to stop it sure looked like a double gallop, all four paws off the ground. I think that Reggie is largely comprised of sporting breeds. However, I don’t think that sporting breed is Labrador Retriever as the largest DNA contributor. Again with the power of suggestion, I can see Greyhound markers in him, but I think with over 200 breeds to select from it is highly likely that there is another breed that is a larger contributor to his genetic makeup than Greyhound. When you throw all those things in a martini shaker the resulting physical appearance can be a number of things. One last Reggie-ism. He has black spots on his tongue. Does this mean he has Chow or Akita in him? Probably not. A quick Google search yielded that this is actually a recessive trait and any dog can actually have black spots, although those breeds are the only two that it is a specific trait of that breed. So what do I think Reggie is? I think he may have a significant component of Flat-Coated Retriever in him. 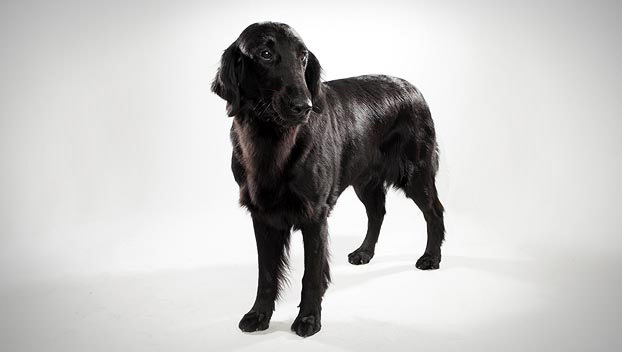 This Retriever is longer than it is tall, has longer, skinnier legs, a longer tail, and a distinctive head. This dog is sweet, loves to play and fetch, is quiet indoors, sensitive, and is trainable. Reggie does not have the same coat, and does not have the same ears. He matches almost all of the same physical attributes, as well as behavioral attributes. I think it is notable that one of the comments about this breed is that they are prone to epilepsy. I wish I had more pictures of Reggie standing, most pictures are of him sleeping (couch potato)! I would love to hear your analysis of Reggie’s breed ancestry, and your own stories of doggie ancestry. Do you know what your dog is? I love this post! I am OBSESSED with trying to find out what Zeke is. The family we (sort of) rescued him from bought him from a roadside breeder *eyes rolling* in Texas. They were told he was a purebred Husky & he was the smallest of the litter. He is now 72lbs and obviously not a pure Husky-I tell people he is an Alaskan Husky which is a type not really a breed. Alaskans are siberians mixed with some type of hound or shepherd to make them not only good pullers but speedy as well. I believe he may have some greyhound as his prey drive & drive to chase things but not bring them back is very high. He also nips at any dog fast enough to keep up with him and he definitely stretches out into the greyhound gallop. But most people say he looks like a shepherd/husky mix-but typical of that mix is a puffy tail while Zekes tail is thin. I can’t wait to see your results, I may end up doing a test like that as well. Good luck with it! I think you could be right with the flat-coated retriever. Reggie is a good-looking dog no matter what he is, but it’s fun to guess! Did you ever get the results? I’m very curious as the vet said my dog was a lab/greyhound mix as well. Turns out he is primarily a Doberman-Australian Shepherd mix. Who knew?